Follow the instructions while installing. Change installation options as desired and click on Next. Choose whether you wish to buy and/or activate the software now, or later. Skip to step 8 if you have chosen to Activate Paragon APFS for Windows. After the installation it’s recommended to restart your computer. After restart, launch the program. The interface window will appear. To activate the purchased license, press Activate… . To purchase the license, press Buy… . Enter your MyParagon credentials and choose the desired activation method. The suggested one is using online activation. Press Sign in. If you don’t want to activate with MyParagon credentials, the license will be bound to GUID account. Press Activate Using Serial Number to perform this kind of activation. You can also activate the software offline, if your computer does not have internet access. Press Sign In (while being disconnected from Internet) to perform this kind of activation. If you have selected Sign In, and entered valid e-mail address,the license information will be typed in automatically. If you have selected Activate Without Login, type in the serial number manually. Visit the activation page on computer with active internet connection. 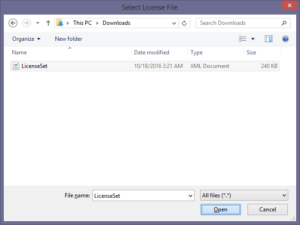 Then follow instructions to generate the license file. Save the file (LicenseSet.xml) to your computer where you wish to activate the product. 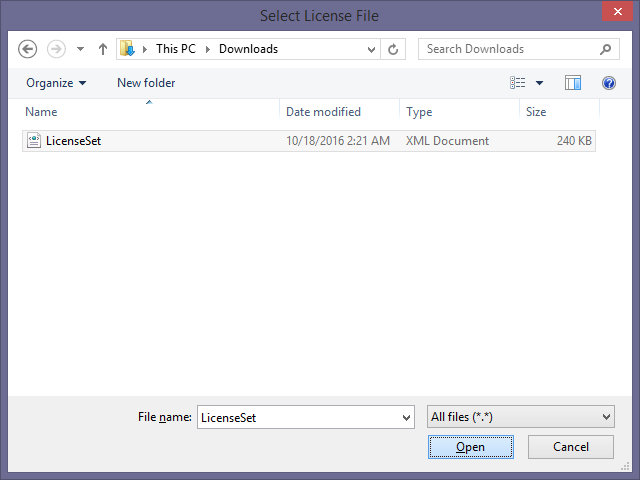 Press Select License File and select the downloaded file.